De-risk your go/no-go product decisions with the power of a patient-level matched control arm. Rave SCA (Synthetic Control Arm) advances the speed, profitability, and scientific validity of single arm oncology trials. With our vast pool of historical data, we combine actual patient-level data of carefully chosen former trial patients for comparison to current experimentally treated patients. 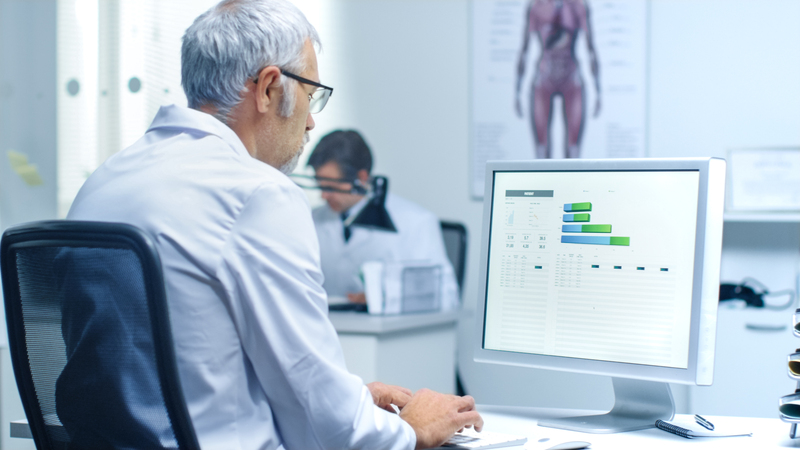 Web-based visualization tools let you explore data-driven insights and analyses while protecting the source’s intellectual property and patient privacy for unprecedented confidence in your decision making. Empower your study with data-driven clarity of a Synthetic Control Arm. Get access to unparalleled data assets from over 15,000 studies and 4 million trial subjects, all cleaned, standardized, de-identified and aggregated. The addition of a patient-level matched control arm with patients drawn from previous clinical trials in the same indication represents an enormous advance in the scientific validity of uncontrolled studies. Because of these large sample sizes from our data set, estimates of the comparison group outcome can be precise and effects in subgroups can be explored—two advantages not possible with historic literature comparisons. Rave SCA improves interpretation of single-arm studies, and ultimately elicits better product development decisions. An intuitive interface provides pre-populated analyses, allowing exploration of standardized variables and relationships including demographics and baseline characteristics, disease attributes, and safety and efficacy outcomes. Together, SCA and advanced analytics give you unprecedented decision making power.